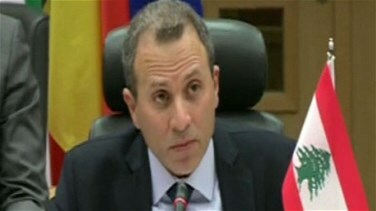 Foreign Minister Gebran Bassil stressed that there is a universal pressure represented by attempts to integrate people who make up nearly half of Lebanon’s population, which can be a destructive factor to the entity and reveals an intention to eliminate Lebanon’s pluralism in favor for Israel’s unilateralism and the Islamic State’s barbarism. Speaking during the 3rd International Conference on Victims of Ethnic and Religious Violence in the Middle East, held in Brussels on Monday, Bassil stated that “Israel with its unilateralism and the Islamic State with its barbarism cannot be the image of tomorrow’s world,” stressing that Lebanon remains a model for tomorrow's peace. "This Lebanese model of coexistence can be adopted as an alternative solution to the region's crises," he said, highlighting the importance of acknowledging "freedom, partnership, and equality as the values of the coexistence republic."